Republican Rep. Mike Coffman called on President Donald Trump to fire top adviser Stephen Miller. Miller is one of the administration’s most hardline conservatives on immigration policy, which has stalled in Congress. Amid flailing immigration bills and widespread controversy over administration enforcement of undocumented immigrants and asylum seekers, a Republican member of Congress has called on President Donald Trump to fire Stephen Miller, a senior White House adviser known for his far-right views. Colorado Rep. Mike Coffman, a moderate Republican, wrote on Twitter Thursday that Trump should install a czar of sorts to oversee the reunification of undocumented immigrant families separated by the federal government, in the form of a military general, a retired CEO, “or some other senior leadership figure” up to the task. 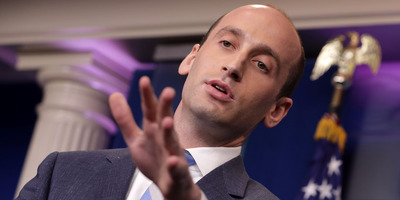 Miller, who previously served as an advisor to Attorney General Jeff Sessions while he was a senator from Alabama, has long been a thorn in the side of moderate Republicans looking for a compromise on immigration. “As long as the president allows Steve Miller and others to run the show down there, we’re never gonna get anywhere,” said South Carolina GOP Sen. Lindsey Graham in February when several immigration proposals tanked in the Senate. One of the two immigration bills up for consideration already failed on the House floor Thursday afternoon. The more moderate proposal, seemed doomed for failure as well, prompting the GOP leadership to delay the vote until Friday so that members can have more time to make a final decision.